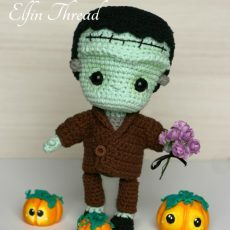 This is a pattern to make this adorable Frankenstein Chibi Doll. 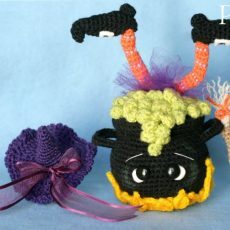 He is so cute and so in love with his bride that this doll would make a perfect gift both for Halloween and Valentines! 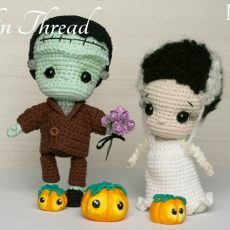 This is a combo for two patterns to make this adorable Frankenstein couple: the monster and his bride! Get it for this upcoming Valentine's! 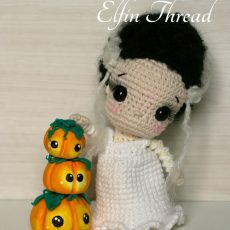 This is a pattern to make this amazingly cute Bride of Frankenstein named Lucy. Isn't she so sweet? She may be the perfect gift for Halloween! 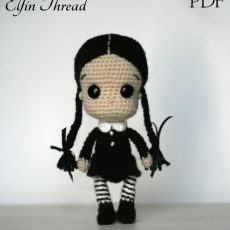 This is a pattern to make Wednesday from the Addams Family. Isn't her cute with her braids and her black outfit? 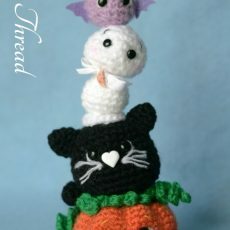 She may be the perfect gift for Halloween! 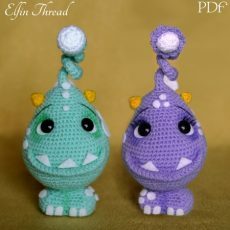 This is the pattern to make Felpo and Felpa, two lovely monsters that will make life happier for any kid, or also to make a Valentine gift for your significant other!